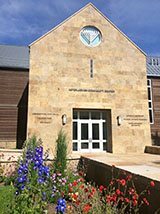 The Shalom Hartman Institute is a pluralistic center of research and education devoted to deepening and elevating the quality of Jewish life in Israel and around the world. The Institution’s work is helping to redefine the conversation about Judaism in modernity, religious pluralism, Israeli democracy, Israel and world Jewry, and the relationship with other faith communities. 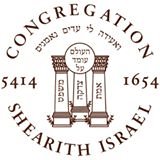 Congregation Shearith Israel, the Spanish and Portuguese Synagogue, was founded in 1654 and was the first Jewish congregation to be established in North America. Shearith Israel is a thriving historic community. 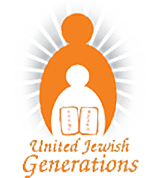 United Jewish Generations (UJG), also known as Chabad for Seniors, is dedicated to serving Jews of all backgrounds and affiliations with unconditional love. It is the goal of UJG to bring happiness, enjoyment, and inspiration through various programs and events, including its annual Klezmer concert, which Targum Shlishi helped support. 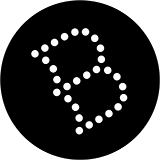 Bookleggers is a community mobile library that sets up at rotating venues once a month and gives away free books to the public. The first book is free; trades of a book for a book are encouraged, and each additional book is $2. Additionally, Bookleggers maintains a series of semi-permanent and public access points for books. Targum Shlishi has supported the Chabad Jewish Community Center’s new building campaign during multiple years and has also supported the JCC in other ways. The JCC is dedicated to providing an open-door environment for every Jew, regardless of background, philosophy, or level of commitment, and to strengthening and enhancing Jewish family life. Led by Rabbi Mendel Mintz, the Center serves individuals and families looking for a non-judgmental, accepting, personalized Jewish experience. Targum Shlishi undertook an awareness and fundraising effort to help support the Pre-Collegiate Learning Center of New Jersey (PCLC), an innovative Jewish high school in East Brunswick, New Jersey that created a groundbreaking approach to Jewish and general education, providing an extremely high level of education while keeping costs down. “The idea itself is not revolutionary, but the execution is. 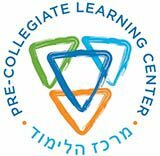 PCLC has come up with an approach that is highly individualized for each student through blended learning, which mixes onsite and online instruction,” said Aryeh Rubin, director of Targum Shlishi. At the same time, it pursued a restructuring of an approach to the teaching model by relying heavily on part-time teachers and subject specialists, much in the way that medical and business schools deliver education. Unfortunately, the school was facing severe financial difficulties and was not able to continue.